HOW TO MANAGE NURSING CARE AT HOME | Work is love made real. Fine blog article via Mavencare on aging: skin, eyes, bones, brain. What Michael Kram, MD, does here is describe his journey from his first-class medical education and outstanding career as a gastroenterologist through a topsy-turvy, scary roller-coaster of a ride of conflicting medical diagnoses of his eventually disabling illness, a trip ending in a resolution of the ambiguities of his condition, a struggle that gave him greater insight into the strengths and weaknesses of the current system of medical care in America. As was said of another author whose views were sculpted by adversity, Dr. Kram has not returned from Hell empty-handed. • the increasing depersonalization of medical care, due to its take-over by larger and larger institutions, often due to pressures from government and insurance agencies. Readers unfamiliar with Orthodox Jewry will find much that is new to them here, much to admire. Fortunately, an extensive glossary gives the meanings of many of the special terms used in the Jewish religion and in the medical profession. Doctors and their families will recognize many situations characteristic of the medical profession. Educated laymen will come to understand that giving up the care that the medical profession has traditionally provided in order to get treatment by institutional employees, rather than dedicated personal physicians, is frequently a bad bargain for doctors and patients. Recently, Dr. Gerard J. Gianoli wrote (in a July 2016 newsletter for the AAPS, the Association of American Physicians & Surgeons) a defense of private medical practice as the breeding ground for many medical improvements and innovations; he noted: Throughout the last 70 years, the U.S. has been the greatest mover and shaker in the world of medicine. Most major medical innovations have either been born or significantly developed here. And, many of the major innovations have come from small private practices—certainly not from the government. Innovative changes do not come from out of our universities—they come from individuals who work at our universities. However, true radical, transformative innovations have often come from private practices. Dr. Gianoli cited many examples, including those from his field of specialization, otolaryngology. The Industrial Revolution swiftly brought the assembly line and its advantages: higher productivity, greater speed, more uniformity, reduced costs. In the automobile industry, we got the Model T Ford, which you could buy in any color as long as it was black. Competition soon developed, with many manufacturers, many models, many colors, much consumer choice, and with a wide range of prices. Current trends in regulation of the medical profession favor assembly-line treatment, with the personal care of the private practice physician shunted to “boutique” medical practices. For a while, some consumers and some doctors can still participate in the kind of personalized medicine they prefer, but if physicians and the public do not protest the decisions of those who are in positions of power and who arrogate to themselves the right to determine health care policy, even those exceptions will disappear. If this book helps promote a profound re-assessment of the current trajectory of the management of medical care in America, it will have made a major contribution to the future well-being of patients and physicians alike. If Dr. Kram’s observations are heeded, the medical profession, with the help of concerned consumers and informed taxpayers, will have started to heal itself…at last. I had the privilege to read an advance review copy of Zebra, and much of these, my comments, became part of the book’s Foreward. 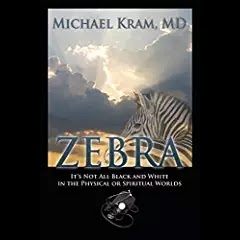 This is my review for Amazon of Dr. Kram’s compelling book, Zebra: It’s Not All Black and White in the Physical or Spiritual Worlds. This excellent book by Canadian writer Rick Lauber (2015) shares the lessons he and his two sisters learned while caring for and obtaining care for their mother (Parkinson’s) and their father (Alzheimer’s). 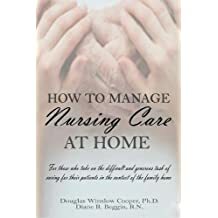 His book is directed not only had teaching how to provide and obtain care for loved ones, in his case his parents, but also how to assure that the caregiver takes adequate care of himself. The book is particularly good on the psycho-social aspects of caregiving for one’s ill parents. What Type of Caregiver Are You? Self-evaluation is crucial to caregivers. While you will be presented with many new responsibilities and challenges, you must know what you can do and the extent of your own personal limits. Answer the following questions as honestly as you can. Addressing these issues sooner rather than later will help you identify your own strengths and weaknesses, which will be beneficial to you as a caregiver. Share these questions (and your answers, if you feel comfortable) with your siblings and delegate your roles appropriately. What can you do as a caregiver? How do you feel about becoming and acting as a caregiver? What would you identify as your characteristic strengths and weaknesses? Beyond your immediate circle of contacts, where will you look for additional help? Can you work easily with others or do you prefer to work independently? Are you flexible with your own schedule? What negative issues do you foresee with serving as a caregiver? How will you respond to or counteract these negative issues? Where will you seek respite for your loved one? Where will you seek respite for yourself? List three additional ideas for personal coping and caring mechanisms (these will be new areas of interest to you that you could try in the future). How much personal respite time will you give yourself? What do you want to achieve as a caregiver? Are you hesitant or reluctant to serve as a caregiver? If so, why? How much will this hesitation interfere with your caregiving duties? Will you be able to perform certain tasks or do you need to assign them to others? Can you honestly look at yourself in the mirror and say, “I am doing the best job I can as a caregiver”? Do you have any regrets about serving as a caregiver? If so, what are your regrets and how can you resolve them? Where can you learn more about your loved one’s medical condition and prognosis? What other personal or professional demands, besides caregiving, exist for you? How will you know you have done your best being a caregiver? Lauber, R., (2015), The Successful Caregiver’s Guide, Canada: International Self-Counsel Press, Ltd.
Part memoir, part self-improvement text, part professional advisory, this often-moving book by Professor Lawrence T. Force implicitly and explicitly delivers for caregivers what its subtitle promises: key tips for survival, strength and patience. Pay attention: many (perhaps most) of us will be in the caregiver role, if we are not there already. I first met Larry Force at a symposium on alternatives for care for seniors, held at local library. His keynote talk was impressive in its wisdom and its obvious caring. As a gerontologist, Dr. Force has decades of experience in the field, with particular emphasis on victims of Alzheimer’s, including his dear mother. His doctoral study, almost four decades ago, centered on the behavior of family members in accessing adult day care for their relatives. I was flattered to be invited subsequently to speak to his class about being an advocate for patients and about being a caregiver myself. Dr. Force has written numerous professional articles, including one in which he described, as he does here, four styles of caregiving: the Hero (who does it courageously and without complaint), the Martyr (who grudgingly supplies help while bemoaning being a caregiver), the Snake (who slithers away from the situation) and the Devastated (who can barely help, due to overwhelming grief over the predicament of their loved one). The case histories he summarizes make the reader hope to be in the Hero category, while recognizing what that may entail. Subsequently, he and his colleagues have also identified the Wolves (who swarm in, take control and isolate the patient from the family) and the Liquidators (whose concern is not the patient but the patient’s assets). Dr. Force notes that every day, in the USA, 10,000 people turn 65, many of whom will need a period of prolonged care before they die. That care is likely to be provided by a spouse or a child and eventually a nursing home. On the subject of nursing homes, it encouraged me to learn of the excellent experience Dr. Force and his family had regarding the care for several years of his mother in a Catholic facility New York, and his thank-you letter to that organization is a model of its genre. It’s all about you, he emphasizes. “You cannot take care of someone else or be present for someone else if you aren’t taking care of yourself.” Caregiving includes paying attention to your own well-being. Part of his experience was nearly dying, “a yearlong odyssey that would change my life.” Bedridden for months, he was urged by a friend to change his thinking radically, to view himself as “competent, in control, healthy, strong….” He had been introduced to the healing power of mental imagery, a power that can benefit both the cared for and the caregiver. It led to his becoming certified in hypnotherapy and re-orienting his practice to include cognitive, wellness, and exercise elements. Often, diet and exercise produce big improvements in well-being. Mentally, we are at our best when we are neither dwelling in the past nor worrying about the future, but experiencing and observing and being mindful of the present. Dr. Force discusses mindfulness and exercise (including structured breathing) and imagery/visualization. We want to establish beneficial habits and eliminate harmful ones. If we are aware we are repeating self-defeating habits, we are on the way to erasing them. He offers a detailed how-to guide to enhanced relaxation and imagery. The book includes several short pieces by other caregivers, emphasizing the variety of situations and experiences, yet reinforcing the point that if the caregiver is not careful of self, he or she will not be able to continue to supply support when it is needed. The book ends with a helpful “Resource Section,” giving annotated links to organization web sites, with descriptions of what each contains. As a long-time caregiver myself, I strongly recommend this book for others who rise to this sometimes-herculean challenge.